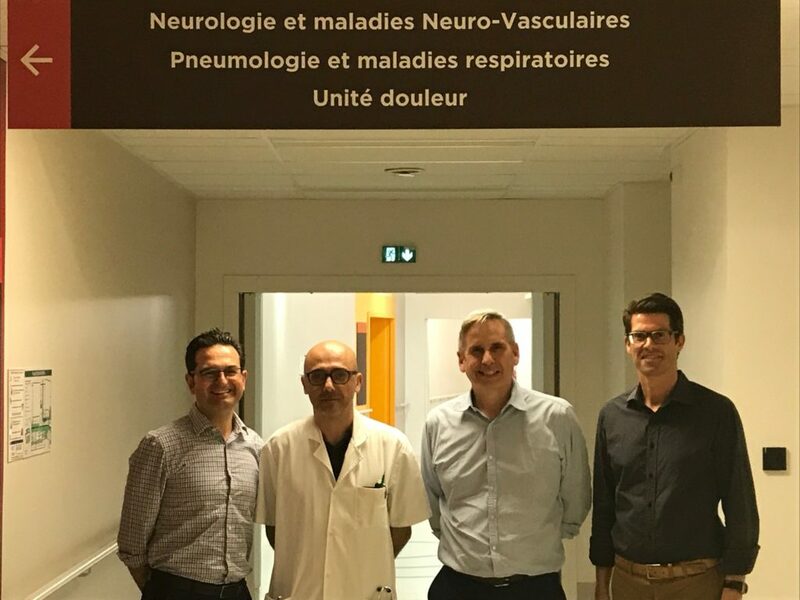 The Sydney DBS team have just returned from their annual trip to Noumea, New Caledonia, where they run a Parkinson’s Disease and movement disorder review clinic with local neurologists Drs Molko, Simon and Guyon. The team have been making this trip since 2013. Neurosurgeon Dr Raymond Cook, Neurologist Dr Paul Silberstein and Neuropsychiatrist Dr Linton Meagher have longstanding relationships with local Neurologists who then work together in assessing patients for deep brain stimulation surgery, a procedure for patients with Parkinson’s Disease, tremor and other movement disorders such as Dystonia. New Caledonian patients who elect to undergo deep brain stimulation surgery travel to North Shore Private Hospital in Sydney where the procedure is performed. DBS helps many patients to achieve substantial improvements in neurologic symptoms including tremor, stiffness, slowness of movement and walking difficulty. Whilst in Noumea, Dr Cook and French speaking Dr Silberstein and Dr Meagher also follow up with patients who have travelled to Sydney for deep brain stimulation in the past. These patients are at different stages in their follow up and by continuing to see these patients with the local team of professionals, ensures strong efficacy and a low complication rate for these patients. Neurologist Dr Paul Silberstein joined colleagues and peers on 13 September at the Kolling Institute of Medical Research on the Royal North Shore Hospital campus for a Parkinson’s Disease information morning. The session was attended by allied health professionals, GPs and nurses from around Sydney who were interested in being updated on Parkinson’s Disease. Dr Silberstein discussed the future of stem cell therapy and device assisted therapies such as deep brain stimulation. 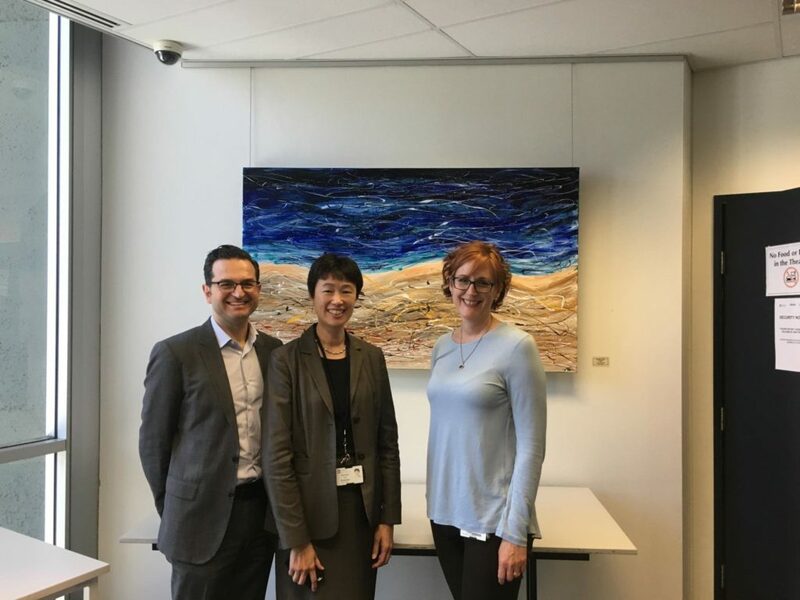 Parkinson’s Disease nurse, Susan Williams from Royal North Shore Hospital, gave a Parkinson’s Disease overview and Prof Carolyn Sue, Director of Neurogenetics at the Kolling Institute, updated the audience on the latest PD research out of the institute. 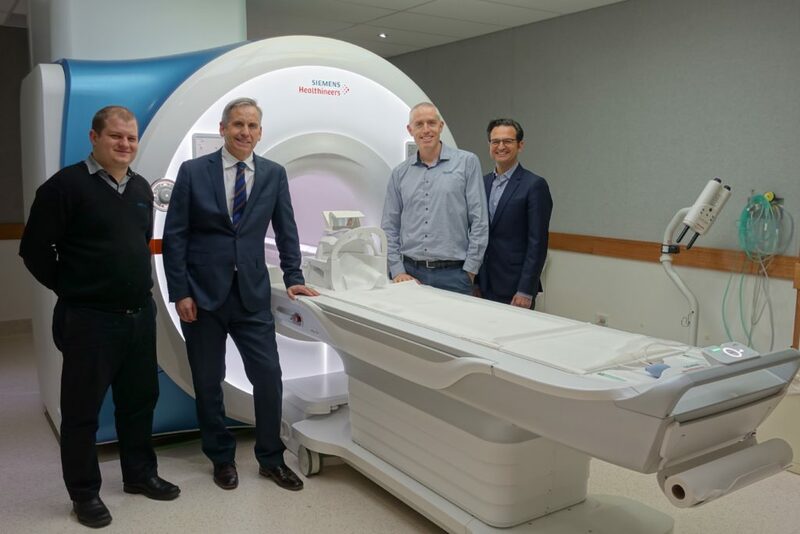 North Shore Radiology and Nuclear Medicine at North Shore Private Hospital recently installed one of Australia’s first Siemens 3T Vida MRI systems, one of only six such class leading scanners worldwide, which provides revolutionary technology in clinical imaging. This wide bore scanner overcomes patient variability which means high-quality, fast, personalised exams with a shorter scanning time and improved patient comfort. Neurosurgeon Dr Raymond Cook and Neurologist Dr Paul Silberstein are pictured with the new machine and other members of the Sydney DBS team, operative Radiographers Glen Cooper and Nathan Anderson. The team are excited about the positive outcomes this machine can provide for patients who undertake Deep Brain Stimulation for Parkinson’s Disease and other movement disorders. In June, Sydney DBS attended the WSSFN (World Society for Stereotactic and Functional Neurosurgery) Conference in Berlin, Germany. Dr Raymond Cook presented to a large audience of international attendees from around the world on dual deep brain stimulation as rescue therapy for complicated patients with Parkinson’s Disease. Dr Cook reported on the operating technique for this complex procedure, circumstances in which it can be used, and surgical outcomes. Tuesday, 11 April 2017 was World Parkinson’s Day. Sydney DBS supported their research partner, Shake It Up Australia Foundation’s annual campaign initiative “Pause 4 Parkinsons” at North Shore Private Hospital. At Midday, the team at North Shore Private sold cupcakes to raise funds for vital research and offered more infromation about the research projects funded by Shake It Up Foundation.